On 21 February 2018, the CMDR COE was honoured to welcome the European Centre of Excellence for Countering Hybrid Threats Director Dr. Matti Saarelainen. Dr. Saarelainen met with CMDR COE Director and Chiefs of Branches as part of his official visit to the Republic of Bulgaria. 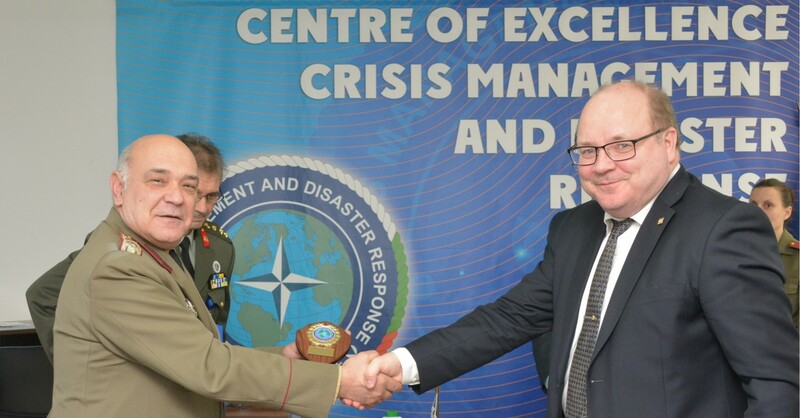 Dr. Saarelainen and Colonel Roussinov discussed various opportunities for future engagement in support to both NATO and EU projects in CMDR COE’s and Hybrid COE field of expertise.